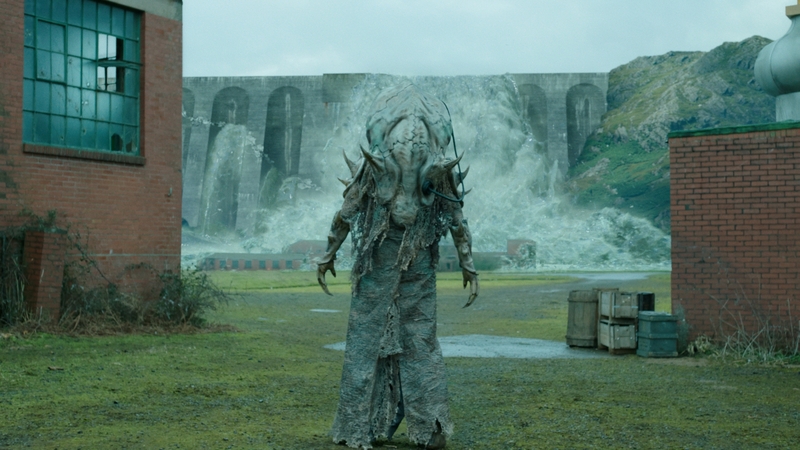 Milk created all the visual effects for the much-anticipated Doctor Who series nine. The third episode “Under the Lake” and fourth episode “Before the Flood” aired in October 2015. For episode three, Milk designed and created a full CG environment to represent a haunted underwater mining base on earth in the year 2110. The episode opens with a dramatic reveal of the base through the murk of the lake water and Milk built the base as a 3D asset created in Cinema 4D to allow the camera to have a complete freedom of motion. The design and layout of ‘The Drum’ followed the already established concept designs from the on-screen graphics used throughout the live action shoot. The Milk compositing team then integrated the base into the underwater plates shot on location. Milk was briefed to created full CG human looking ghosts – that interact with the Doctor and the environment in the underwater base. Milk researched and developed a look to incorporate a ‘smoky’, semi transparent look, including revealing their skulls through their eye sockets in certain ghosts. Milk’s compositing team created a tool that could create a variety of smoky and semi transparent ghost elements – which the team then used to create a range of ghosts in different situations throughout the episode. This necessitated a high shot count of 125 for episode 3 alone. Milk’s brief included creating some water elements to sell the idea that the underwater base was flooding. Milk created water effects simulations using Houdini and rendering with Arnold. Milk created a shot in which the drowned character Pritchard is seen floating underwater outside the base. The actor was shot with against green screen with the camera set to a high frame rate and his hair blowing around. Milk then slowed the shot down and composited him into the water – so that his hair moved as if floating in the water. 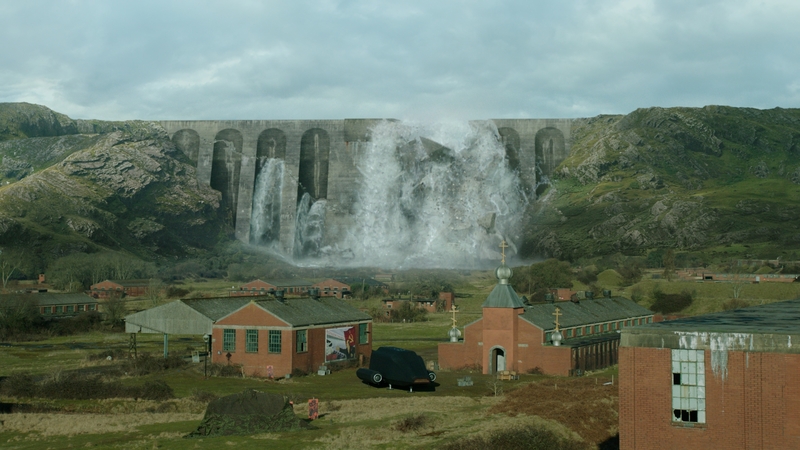 Milk modelled the dam in episode four, based on references provided by the BBC, and then the DMP team blended it into the location – a green mountainous valley. Milk then burst the dam by destroying the dam model and adding water effects. The dam was fractured based on proximity to a set of hand drawn curves and simulated alongside a particle fluid setup in Houdini. 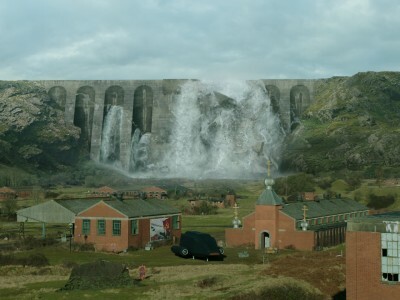 The water needed to burst from the cracks in the dam, travel over half a kilometre across the valley floor, and rush past the Fisher King character and camera in the foreground. The main challenge in this effect was to create a continuous simulation that would work well both at range and close-up. A lot of time was spent choreographing the shape of the water flow and many custom forces were created to achieve this whilst maintaining a natural feel.